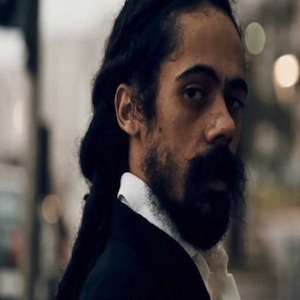 Damian Robert Nesta Marley, also known around the world as “Junior Gong” and more recently as “Gongzilla” was born in 1978 to parents Bob Marley and Cindy Breakspeare, Miss World 1976. As a young adult, he developed a passion and a gift to speak for those who cannot always speak for themselves. A self-proclaimed ‘Spiritual Revolutionary’, Damian has worked assiduously to carve his own niche in music history and to add a new perspective to the Marley legacy for the 21st century. At the age of 13, Damian began performing in a group called “The Shepherds” which comprised of Shiah Coore (son of Third World guitarist Cat Coore) and currently a member of his band, and Yashema Beth McGreggor, daughter of reggae singers Freddie Mcgreggor and Judy Mowatt and then began touring with his brothers, Stephen, Ky-mani, Julian and Ziggy. By 1996, Damian had already made his stamp as a different kind of Marley when he released his first solo album “Mr. Marley”, a heavily dancehall-influenced album produced by his brother Stephen Marley. His second album “Halfway Tree” was released in 2001 by a major record label and showcased Damian’s unique gift for blending dancehall, reggae and hip-hop styles. This album won Damian much recognition and remained on the Billboard Top Reggae Album Charts for 158 weeks and earned him his first Grammy for Best Reggae Album in 2002. While honored by this recognition by the global music fraternity, Damien Marley continued to work in the studio, laying the groundwork for the tracks that would become his highly anticipated album, “Welcome To Jamrock”. The lyrics in this album presented Marley as a true spiritual revolutionary, as he used his talent to evoke a spiritual change while trying to enforce a better way of thinking. He is described as “rhyming with the conviction of a street preacher with the intellect of a university economist”. The Distant Relatives Tour kicked off in 2011 and saw Damian traveling and performing for thousands of fans all over the world, including South America, Europe, The United Kingdom, The Caribbean and North America. Damien Marley continued to cross musical boundaries in 2012, as he went on to partner with Skrillex for their groundbreaking track “Make It Bun Dem”, which Rolling Stone called “a monster mash up of dubstep and dancehall” and has led to several remixes of the original version. Damian recently released two other singles; “Set Up Shop” and “Affairs of the Heart” which both received widespread airplay. Damian continues to tour with his band all over the world as a way of entertaining and healing as he continues to spread the message for those whose voices cannot be heard. He is working with his brothers Stephen and Julian under their Ghetto Youths International Label, to discover, develop and sign gifted artistes by applying their musical talent and vast experience to create new and different styles of music.